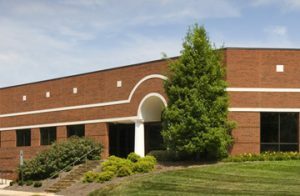 Viking Partners Fund III, LLC (“Fund III”), has acquired two, single-story Class A office buildings within The Park-Huntersville, an outstanding and innovative mixed use business community, located just minutes from Charlotte, North Carolina. The 57,000 SF Bostick Building (above left) was constructed in 1985 and the 59,000 SF Calhoun Building (above right) in 1988. The combined space totals 117,000 SF and was 80.8% occupied at the time of purchase. 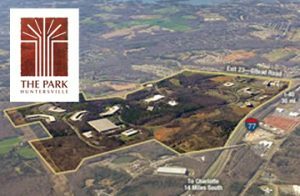 The Park-Huntersville is well positioned along I-77 in the high-growth, Northeast Charlotte sub-market. It sits just twenty minutes from Charlotte Douglas International Airport and downtown Charlotte. The complex is part of a master planned business park and benefits from a long list of amenities, including walkability to numerous local restaurants and shops, a conference center and boardroom facilities. The Park’s campus additionally offers picturesque landscaping throughout featuring a 6 acre lake with paved exercise paths. Located within the The Park is Novant Health Huntersville Medical Center, a 371,000 SF facility serving more than 45,000 patients a year. Other current tenants represent a wide spectrum of industries including engineering, healthcare, research and insurance. 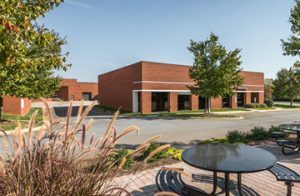 Viking Partners has realized strong tenant interest in the sub-market with upside potential through the lease up of 23,000 SF of available space. “The Park is truly a model for a today’s business communities, offering a balance of Class A space for diverse businesses, room for continued growth, proximity to a vibrant city on the move, a well planned natural setting, and unmatched weather in all seasons”, stated Steven Miller, Principal of Viking Partners.